OK, this one's an acquired taste. 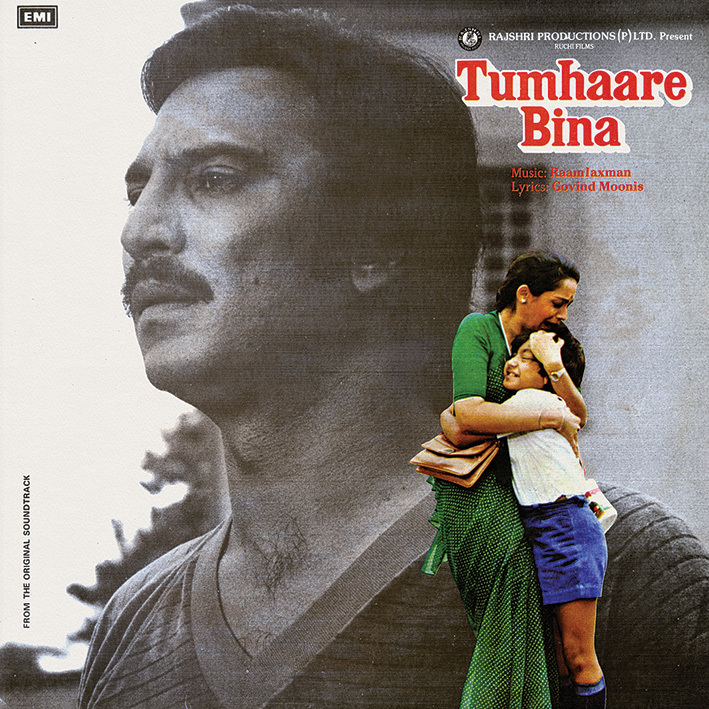 To be fair, ten years ago I probably wouldn't have liked 'Tumhaare Bina' much, but a gradual growing appreciation of at least some 1980s Bollywood Disco has made me more receptive to stuff like this. Taking cues from Bappi Lahiri's "anything goes" brand of music direction, Raamlaxman's score is at once cheesy, silly, and infectiously playful. 'Sweety Seventeen' is its big hit: bubbly and brash disco pop with plenty of hooks. 'Hanste Hi Hanste' (especially the happy version) contains touches of soft country psych, and the lovely 'Lab Tak Aai Hai' is enhanced by whistling synth lines and a silky Spanish guitar. Child singer Gurpreet Kaur features prominently; she has a voice that many in all likelihood will find annoying, but her quirky, sound effect-laden take on nursery rhyme 'Humpty Dumpty' certainly makes me grin. Rounding things off is a ridiculous (in a good way) instrumental that combines Hawaiian guitar licks, synth effects and a lounge orchestra. Fun stuff. Raamlaxman's real name is Vijay Patil. He was once the latter half of duo Raam-Laxman and retained his partner's name in tribute when Raam died in the late 1970's.